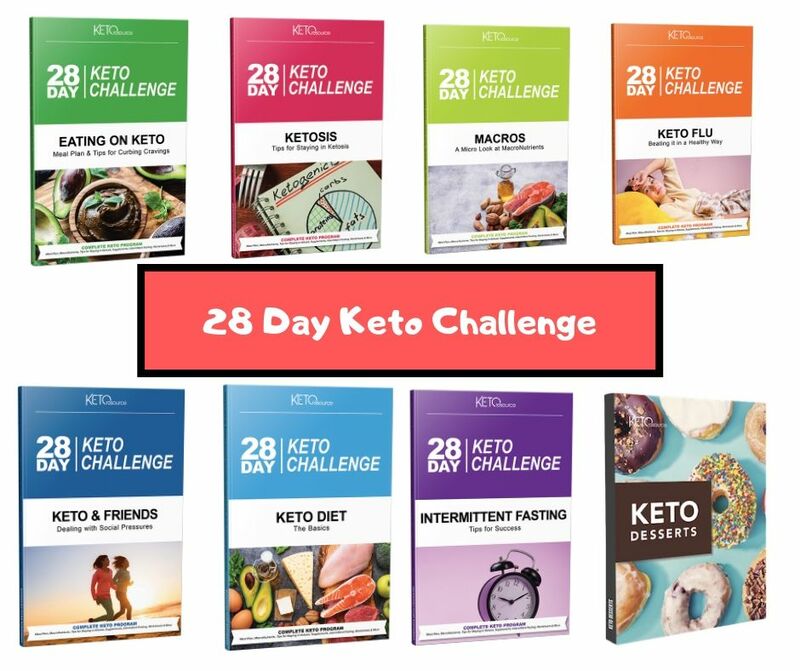 » [Review] 28-Day Keto Challenge – Does It Work? Conclusion: The 28-Day Keto Challenge Earns My Thumbs Up! o you know what really grinds my gears? Diving into anything without a plan. People do it all the time, and how many of them actually reach the finish line? Not many, for sure. Tell me, how many times have you actually achieved something and reached your goal without a clear plan asto how to perform every step? What’s that? Not many? That’s what I thought. Having a plan is essential to succeed in anything in life. Adopting a keto diet is no exception.As opposed to what most people believe, keto is notsimply ditching this and eating that; it’s a whole lifestyle. That’s why I always recommend the 28-Day Keto Challenge, the ideal guide – scratch that, it’s actually a pack of guides –for anyone looking to really stick to the keto lifestyle. So, what is all of the fuss about? How was my experience with this challenge? Read on,and you’ll find out. Long story short, I came across this cookbook a while back while I was trying to re-organize my meal plan after a long vacation. We all know holidays and vacations can wreak havoc on both your health and lifestyle, that’s why I needed a quick solution. I was on the lookout for something that would take care of all the heavy lifting for me, and that’s exactly what I got in the 28-Day Keto Challenge cookbook. In a nutshell, The 28-Day Keto Challenge is a well-thought plan that was put together by experts to help both beginner and veteran keto-adopters stick to their healthy lifestyle. Most people fail when trying out keto because they don’t plan ahead. They just get excited, try a few meals, and then give in as they can’t resist all of the carb-rich yummies available everywhere. Does that sound familiar? Not gonna lie, that was me a couple of weeks ago. Although I’ve been following a keto lifestyle for quite some time now, I got weak after spending a few weeks in Suzhou, and I might have tried a new dish or ten of them (have you tried fried crab meal before? If you haven’t, don’t even think about it, you’ll get hooked quickly). Soon after getting back home, I needed to get back in track quickly, and so I did, with the help of the 28-Day Keto Challenge. The 28-Day Challenge is not a simple cookbook; it’s a full plan that’s designed to keep you on the right track during your keto journey. It covers everything from the of the keto diet to how you can deal with social pressure that you get when adopting a healthy lifestyle. 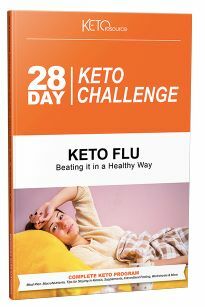 What’s impressive about the 28-Day Keto Challenge is that it addresses practically everything. A 4-week meal plan? Check. Delicious lunches, dinners, breakfasts, and desserts? Check. The supplements that can help with your ketosis transition? Check, check, and check! If you’re just delving into the keto world, you’ll surely like the three guides that are specificallycrafted for beginners: Keto Diet: The Basics,Ketosis: Tips for Staying in Ketosis, and Macros: A Micro Look at Macronutrients. As I mentioned, I’m not new to keto dieting, so I knew most of the information available in those guides (although I did learn a few new things). Here’s the thing; I’ve done a lot of research to acquire such knowledge, while you can get it handed to you on a silver platter. Not only that, but it also includes an intermittent-fasting guide that I really liked and a guide on how to get over the “keto flu,” which many people face when starting out with keto. To be honest, I’ve never encountered such an issue before, but I know many people that have, and now I know exactly what to tell them. Mrs. Keto expert much?Maybe, but I’m a sucker for helping others, so there’s that. Also, intermittent fasting is not mandatory when following a keto diet, but it does make the process easier, especially if you’re overweight. The real bomb though is a small guide called “Keto and Friends: Dealing with Social Pressures.” Have you ever been laughed at and mocked – in a friendly manner – by friends and family members because you’re trying to give up unhealthy carbs? Don’t worry; we’ve all been there. Well, the 28-Day Challenge can help with that as well. Quite the complete pack, isn’t it? When following the 28-Day Keto Challenge, I did apply the intermittent fasting principle, and it helped with boosting the process and fixing the aftermath of my food-wise disastrous vacation as I could put off 10 pounds in the first week. It wasn’t that hard, to be honest, as the meals were quite finger-licking. Even my kids liked them, which made following the challenge a helluva lot easier. Eating on Keto Guide, which is the main cookbook that contains 10 breakfast recipes, 14 lunch recipes, and 14 dinner recipes, with different snack options and a few tips on how to master and get over your cravings. This is what I most liked in the challenge. Not only are the dishes easy to make, but they’re also delicious and don’t take up too much time. Isn’t that just convenient? Keto Diet: The Basics Guide, which teaches you all about the basics of the keto diet, including all the benefits and how it started.May not look much for a veteran, but for a beginner, it’s an excellent starting point. Also, it includes “a Keto food pyramid” with a shopping list, which will surely save you a lot of time. Ketosis: Tips for Staying in Ketosis Do you wanna know everything about ketosis? Because you should, and that’s what this guide is all about. Macros: A Micro Look at Macronutrien Choosing your macros is a critical part of the keto diet. This guide includes all the calculations you should make along with the correct ratios for a successful ketosis experience. No need to get confused every time someone brings up macros anymore! Intermittent Fasting: Tips for Success. You’ve surely come across the term “Intermittent Fasting” before. Everyone looking into healthy lifestyles has. Do you want to explore the wonders of this practice and make your weight loss journey even faster? This is the guide for you! Keto and Friends: Dealing with Social Pressures andKeto Flu: Beating It in a Healthy Way This is the beginner duo, which includes some valuable health and social tips for those just starting out. 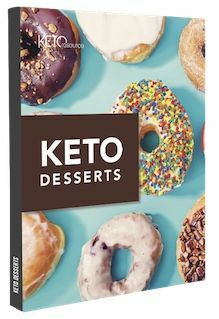 Keto Desserts: This was my favorite extra. Who doesn’t crave a good dessert every now and then, right? Well, if you’re finding it hard to give up sugar, this is a true gem that you should check, as it includes 36 finger-licking “fat bomb” – as the author describes them – recipesthat you can explore with your whole family. Avocado Recipes. Dare you tell me you don’t like avocados?Not only are they an integral ingredient in the keto diet, but they’re also delicious and full of healthy fats, thus making for an excellent fruit for keto lovers. Through this guide, I learned 3 new unique ways to prepare avocados, which was impressive. Note that the guide actually teaches 5 preparation methods, but I already knew a couple of them before getting the 28-Day Keto Challenge. Keto Supplement Guide. Do you want to make transitioning into ketosis more effective? Then supplements are the way to go. No need to spend hours looking for ones that suit your lifestyle though, as this short guide reveals twelve of the best Keto supplements available today. One more convenience point for the 28-Day keto challenge, please! Although there are a lot of recipes in this cookbook, I wish there were more included to appeal to more tastes. This guide is available only in a digital format. Sorry,hardcover book lovers. The good news? You can read any of the above guides on your smartphone, tablet, or laptop, which adds to the convenience of the 28-Day Keto challenge. All in all, the 28-Day Keto Challenge is a comprehensive guide that’s more than enough for anyone looking to get into the keto lifestyle with no prior experience. If you want to get your foot in the door the right way, this is all you’ll need at the beginning. 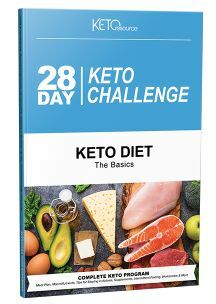 To purchase the 28-Day Keto Challenge, simply click on the buy button below and you’ll be able to get it at a terrific discount!